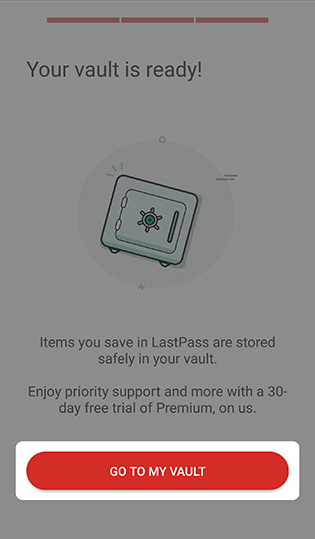 For LastPass instructions and support, visit the LastPass Customer Support page. If Cloud is not already installed on your phone, download and install it from the Play Store. 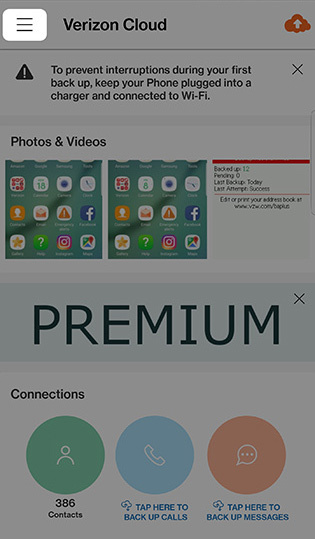 For devices running Android version 8.x, swipe up or down from the center of a Home screen, then navigate: Verizon > Cloud . For devices running Android version 7.x or earlier, navigate: Apps > Verizon > Cloud. If Passwords isn't available, ensure your version of Cloud is up to date. Tap Get It on Google Play. 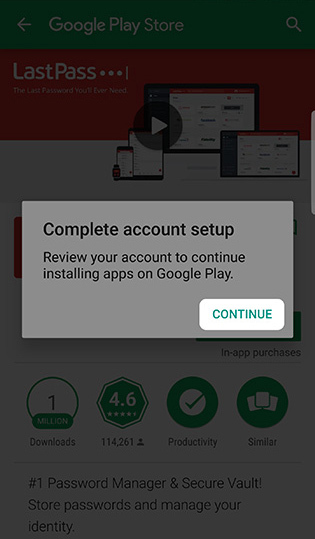 If prompted to complete Google account setup, tap CONTINUE. If prompted to add a payment option, select the preferred option then tap CONTINUE. Follow the on-screen setup prompts to set up the payment method. There is no charge for using the Cloud app. 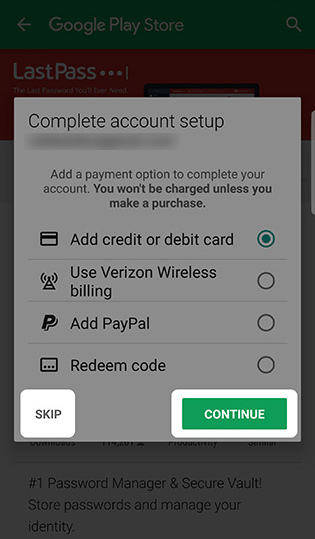 This payment option is applied to any purchases made in the Play Store (app downloads, in-app purchases, etc. ), and the prompt only appears if you haven't already set up a default payment method. Tap SKIP if you don't want to add a payment option. Open and set up the LastPass app. 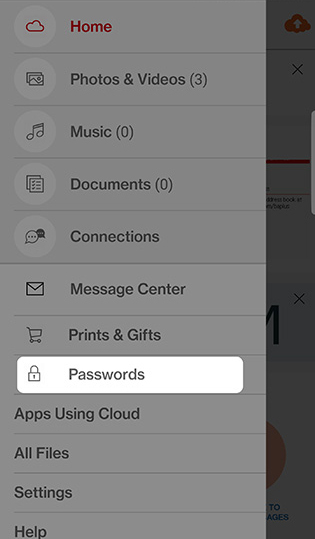 After downloading and installing LastPass, tap the LastPass icon on your home screen or in your app list. 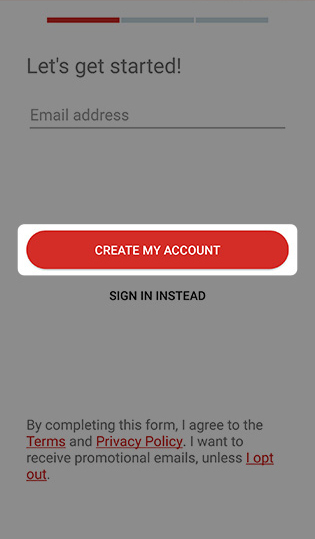 Swipe the screen to the left twice then tap SIGN UP. Enter your email address then tap CREATE MY ACCOUNT. 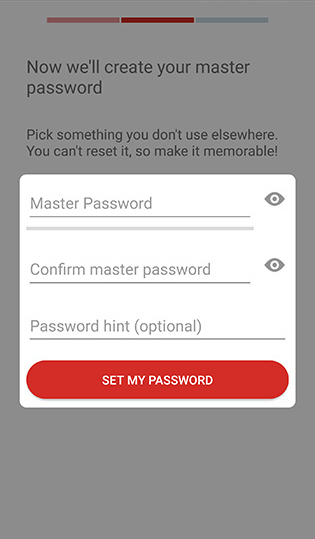 Enter and confirm your Master Password and a Password hint (optional) then tap SET MY PASSWORD. Must not be a commonly used password (e.g., "password"). 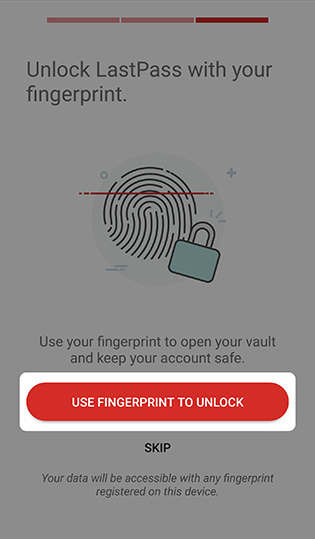 If your device has a fingerprint reader and you want to associate your fingerprints with LastPass, tap USE FINGERPRINT TO UNLOCK. Otherwise, tap SKIP > SKIP. If your device supports other security options (e.g., Iris Recognition, Face Recognition, etc. ), additional options may be presented. When finished, tap GO TO MY VAULT. 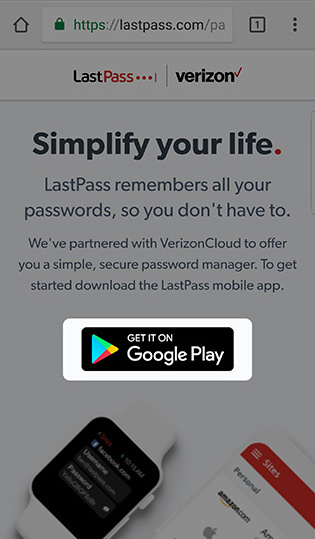 If prompted to "Autofill with LastPass", tap ENABLE to let LastPass automatically fill your usernames and passwords for you. 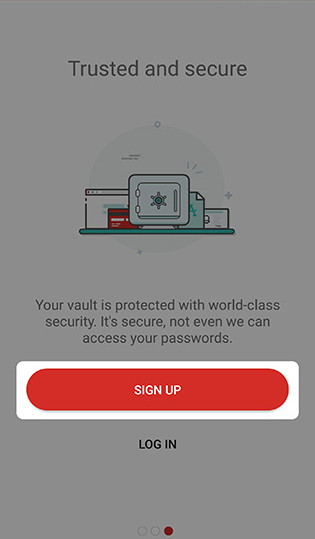 If prompted to enable permissions, tap NEXT to give LastPass permission to automatically fill your login info. When directed to the Accessibility screen, tap LastPass then tap the switch to turn on or off . Tap the left arrow icon (upper-left) to return to the Accessibility screen. Tap the left arrow icon again to return to the Settings screen, then tap your phone's Back icon or press the Back button to return to LastPass. 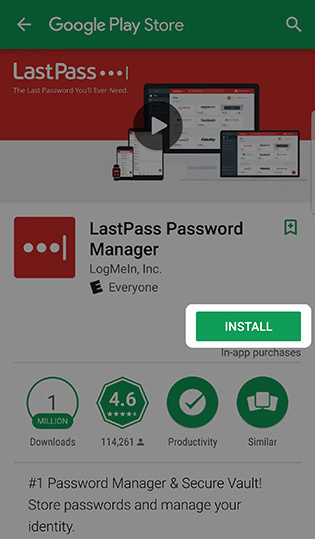 If you no longer want to use LastPass, remove the app via the Play Store then delete your account.